So sang The Kinks on the song Autumn Almanac. 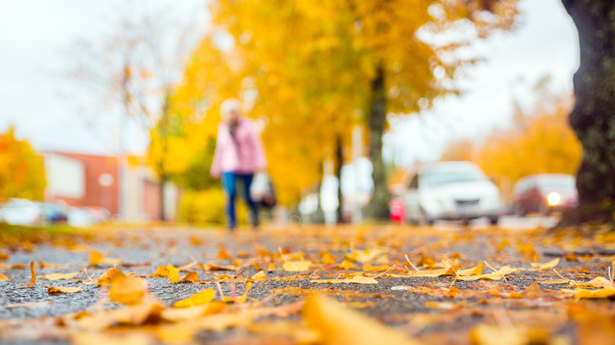 Autumn in Finland sees the temperature drop, but in Seinäjoki it is generally mild (5-10 Celsius) and often dry enough to still be able to enjoy being outdoors. Therefore, many of the activities I recommended in my Summer Tips articles are still an option for you. While you are exploring, you will start to notice the beautiful effects of Autumnal Ruska (derived from the word ruskea meaning brown) which is the turning of the leaves to bright tones of yellow-green to gold to vivid red. This natural phenomenon is especially breathtaking in the expanses of Lapland and has Finns travelling north for their Syysloma (Autumn holiday), but you will certainly notice it in Seinäjoki region as well. In this article, I will share some other ways to pass your time during the Autumn months leading up to Christmas. Finding ways to entertain the family, regardless of the age of the children, is a challenge to many parents. If the weather is good, then taking them into the outdoors is a cost-effective way to keep them busy and away from their games consoles. Seinäjoki also has indoor activities to come to the rescue on days when you just don’t want to be outside, some of them are unique to the town, and some of them are free or have only a small entrance fee. Childrens Traffic Park – located across the road from the swimming hall, the traffic park is an outdoor play area with a small road system set-out for children to ride, kart, scoot or skate around. It is free to use and open all year for use with your own ‘vehicles’. 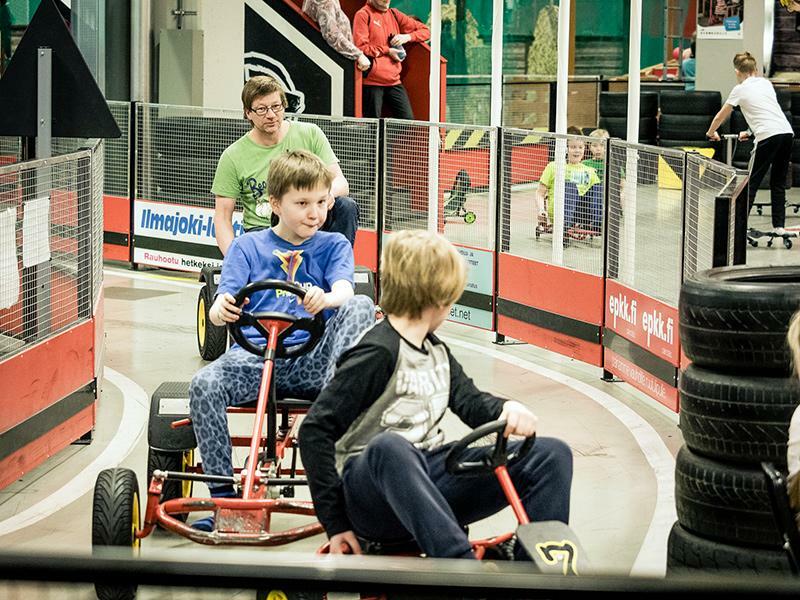 In the busy summertime, a selection of go-karts is also made available for kids to enjoy. There is also a small playground next to the traffic park. I would suggest buying a coffee from the swimming hall, the settling down to watch the kids race round the track for an hour or so. 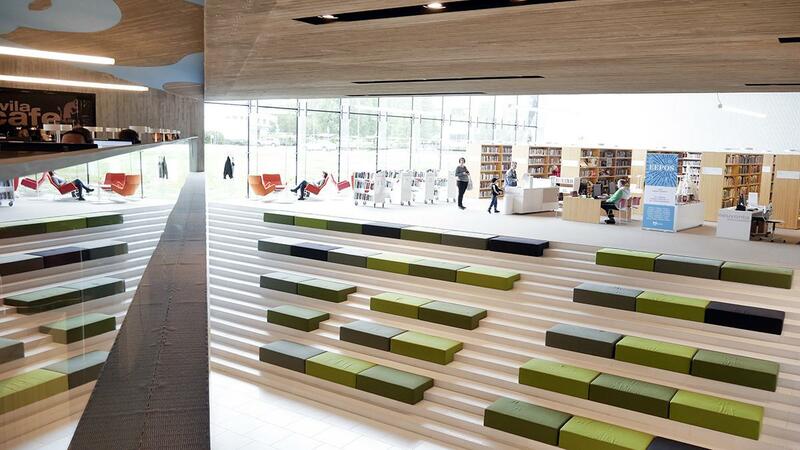 Apila Library – this is not just a library. Once inside, there are various sections for different age groups, with a textured play area for smaller ones, as well as themed ‘reading cubes’ where they can settle down to look at a book. Downstairs is the young adult section, with carpeted reading nooks built into the walls, and a music listening room with an electronic piano. Near the entrance is a coffee shop with a selection of Finnish and International magazines that can read as you relax. SQB Squash & Bowling Centre – SQB offers a wide selection of games and activities for the whole family. The main building, just one kilometer from the town centre, offers 12 bowling alleys and four squash courts, plus a gym, pool tables and TVs showing sports from around the world, there are also 5 badminton courts at different location. After playing, complete the experience with a pizza buffet lunch available all day at reasonable prices. Touhutalo – this is an indoor soft-play for smaller kids, maybe under 10, and has a selection of labyrinths, slides, tunnels, ball pools, bouncy castles, pedal cars and bikes. It’s also a popular location for hosting birthday parties (where better to run-off the sugar rush!). There is also a small cafe selling drinks, pastries and sweets so both kids and parents can keep their energy levels up. Dudesons Activity Park (DAP) – Seinäjoki is the spiritual home of the Dudesons, and is the location of their first Activity Park. It is essentially, a indoor soft-play for EVERYONE. There is so much to do at DAP, including trampolines, parkour, baseball nets, pedal go-karts, skating ramps and many other games, all designed to get the whole family moving. There’s a restaurant so you can play, then eat, then play some more, to fill the entire day with hi-octane fun. There is not one specific shopping location (High St/Main St) in Seinäjoki town centre, rather a selection of shopping malls. From Torikeskus near the Aalto Centre, to Lehtinen Kauppakeskus approx 600m away, each has it’s own style and selection of stores and restaurants. How long it takes you to visit them all, depends only on your ability to browse. Away from the centre of Seinäjoki, however, there are some hidden gems to be found, that offer a more unique retail experience. 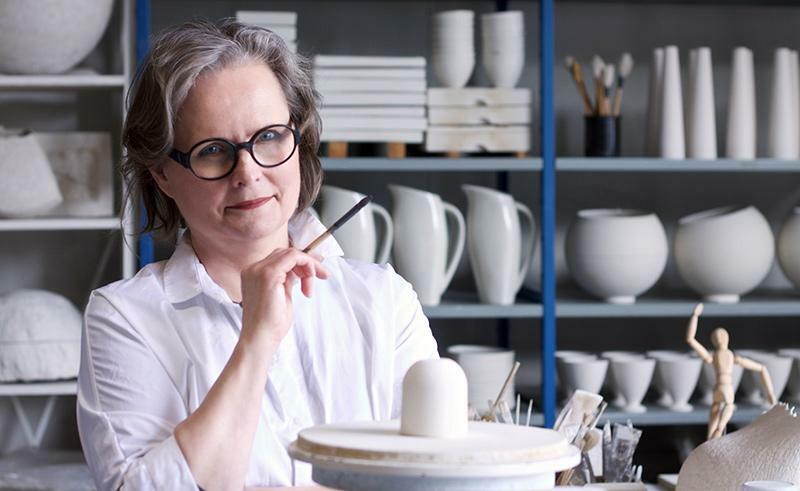 Amfora – this is more than a shop, Designer & Ceramic artist Päivi Rintaniemi is from Seinäjoki, and this is also the home of the Amfora studio where the products and artwork, on sale in the shop, are produced. This beautiful collection of ceramic homewares needs to be seen first-hand, but plan your visit carefully, the shop is a little way out-of-town, and is only open Wed-Fri 10:00-17:00. Rustoopuori Craft Shop – this is a real treat whether you are looking for art and craft materials, or products that were designed and made in Finland. 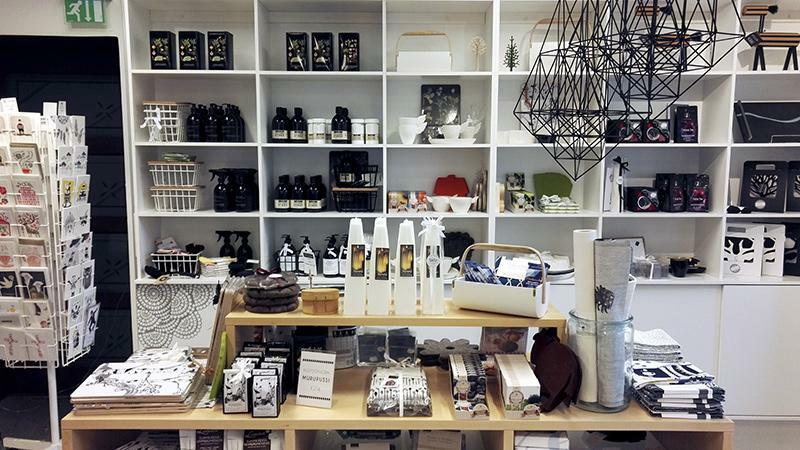 There is also a wide selection of products from Etelä-Pohjanmaa – perfect for classy souvenirs of your visit, or for presents to send to friends and family. Holmström Second Hand – in a country where every town has many Kirpputorit (flea markets), Anne-Maria at Holmström offers something more by visiting the local flea markets, and curating a range of vintage clothes, that is regularly updated and always interesting. Also, in an period that Levi’s seem to be making a comeback, she often has a good selection of vintage 501s at prices far below the High Street stores. The fact that Holmström is usually open only four hours per week (saturday 11:00–15:00) means you need to schedule your shopping trip carefully. Namitupa – now everyone has someone in their family with a sweet tooth, so this is a must for them. Namitupa (Yummy Cottage) is a small hand-made sweet factory and candy store, and on some days they demonstrate how they make their sweets. I ‘discovered’ Namitupa only this year, and our family’s short trip to nearby Ilmajoki with my parents was well worth it. Jokipiin Pellava – with it’s lovely red brick factory building in Jokipii, near Jalasjärvi, Jokipiin Pellava (Jokipii Linen) has a small factory shop to showcase its range of high quality linen products. All made onsite, the range includes table linen, bed linen bath towels and, of course, sauna linen. Be sure to pass-by as you travel around, or make time for the 30 minute drive from Seinäjoki. You will find a wide variety of live music on offer in Seinäjoki all year round. Of course, there is the summer Festival season but, outside of this period, whatever your taste you should find a live performance to enjoy. 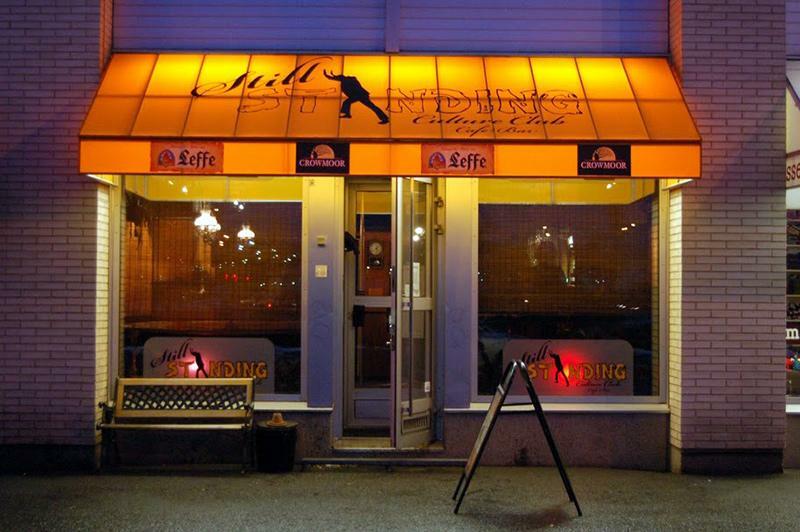 Still Standing – a small venue with regular Sunday night DJs and occasional live music performances; acoustic sets, folk bands. If you are lucky, maybe the owner, Momo, will get his guitar out and transform into Momocat, the reggae artist, if not you’ll be treated to classic reggae and ska music all evening. Approx price range: 0.00€ – just buy a drink or some food and join the party. 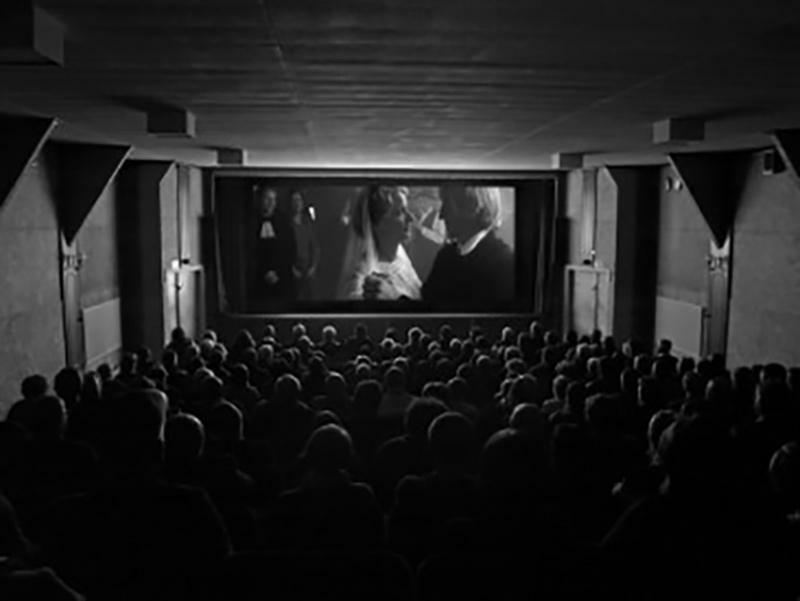 Etelä-Pohjanmaa has a proud film-making history, especially in nearby Kauhava area. There is also a thriving theatre culture, with a wide and varied selection of shows at the Kaupungin teatteri (Town Theatre). 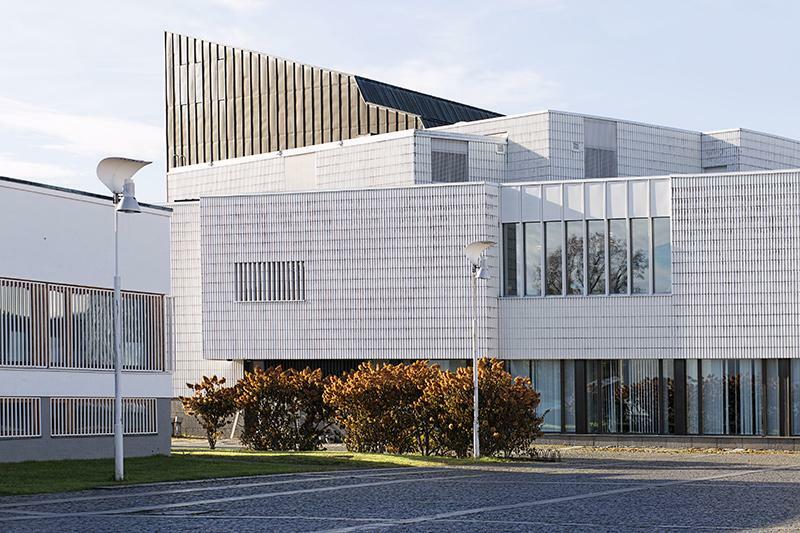 Kaupungin teatteri – here you will find a wide variety of shows; drama, musicals, farce, family shows, There are 6 premieres every year and 250 performances in total, performed in the 429-seat main auditorium, designed by Alvar Aalto. 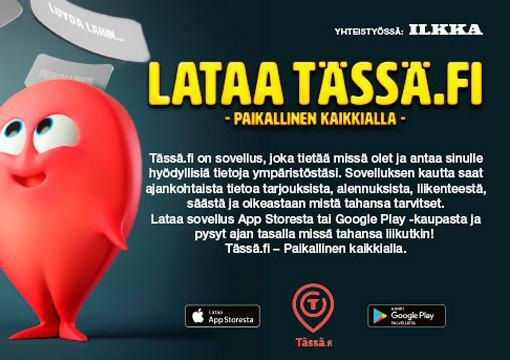 They are all in Finnish language, but if you are lucky, you may be able to find a Finnish language version of a musical you already know. Matin Tupa Cinema – more than just a cinema, this is a way of life for Anssi Luoma and his family, now the 3rd generation to manage Matin Tupa (Matti’s Cottage). Located in Ylistaro, Matin Tupa is a small, independent, 201-seat cinema with vintage and digital 3D projectors but without popcorn and buckets of fizzy drinks. A real treat is the annual Filmia ja Valoa (Film & Lights) Festival – when they show a selection of blockbusters, independent, arthouse and local movies. Check www.filmiajavaloa.fi for details of the next event, or listen to the podcast Film & Lights Festival at ‘Matti’s Cottage’ to hear the story of Matin Tupa. bioRex Cinema – a more mainstream cinema experience, part of the bioRex chain, but the friendly service makes it worth paying a visit and it is located conveniently in the heart of Seinäjoki town centre.